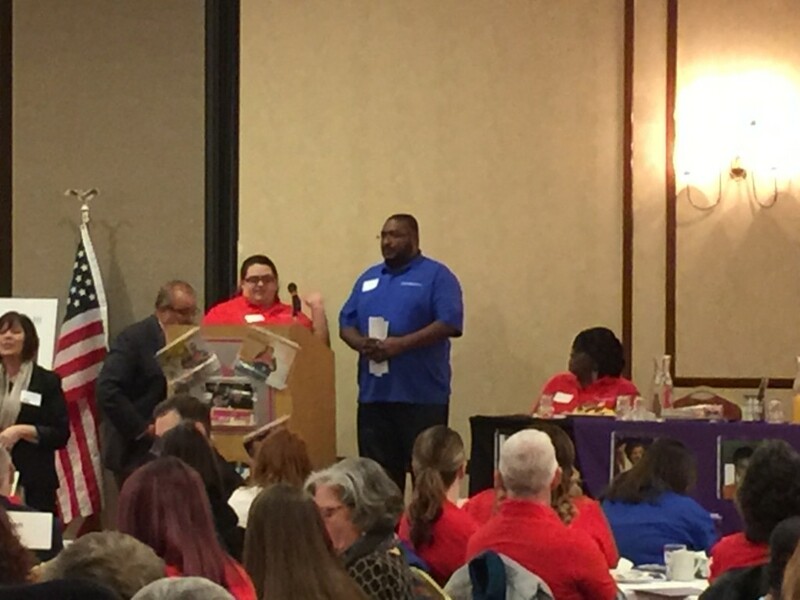 At the Developmental Disability Alliance of Western New York (DDAWNY) Legislative Breakfast that was held at the Millennium Hotel on Tuesday, January 8, direct support professionals (DSPs) including James and Jill Patterson, spoke about the difficulty they face in continuing to make ends meet while doing what they love. 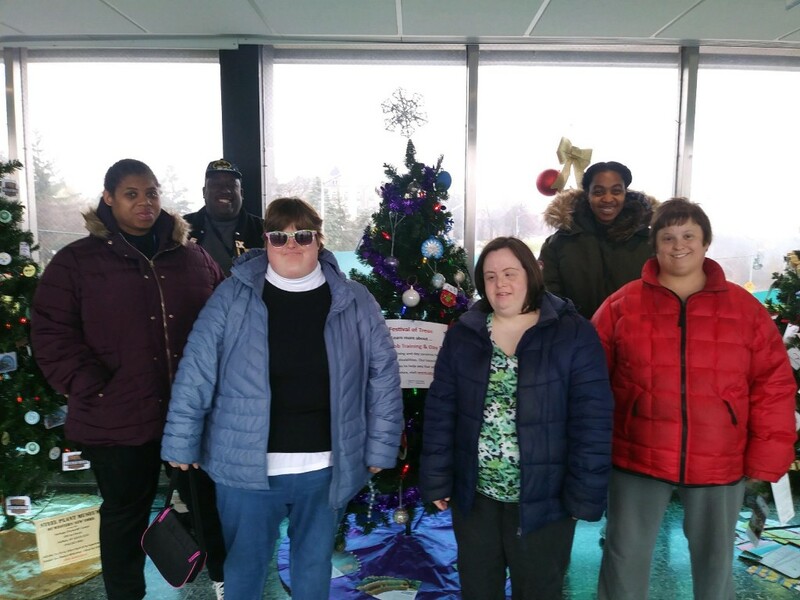 In their work with people with intellectual or developmental disabilities, DSPs do a wide range of tasks, including coaching, cooking, assisting with personal care, heavy lifting, driving, being companions and keeping the people they support safe. DSPs can make a bit more by administering medications, but this additional responsibility requires certification and added oversight to ensure the safety of the people being supported. While relating an incident in which she held the hand of a person who is blind during a series of seizures, Jill cried as she explained that her voice was the persons’s only source of comfort while waiting for the ambulance to arrive. Despite being front-line caregivers to people with intellectual or developmental disabilities, DSPs are paid minimum wage, which is not enough to live on. 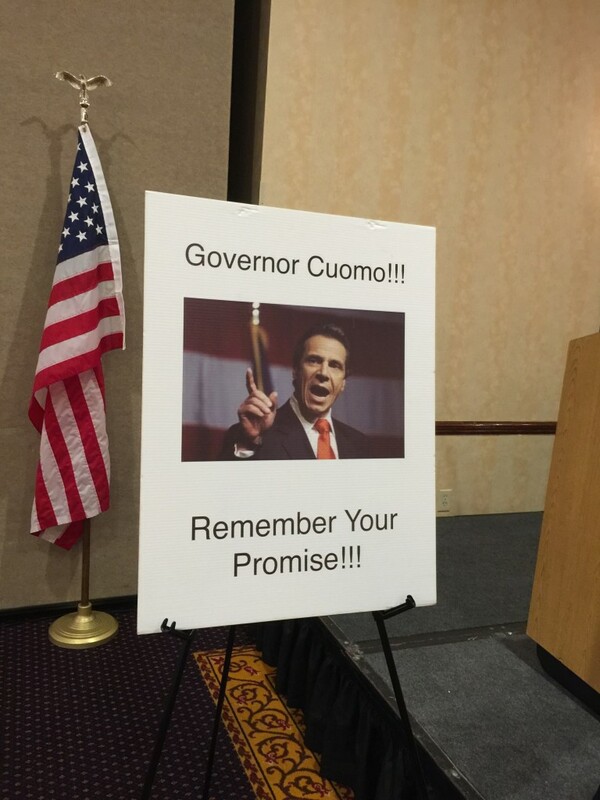 Governor Andrew Cuomo did not include money in his budget for DSP wage increases, which forces DSPs to choose between work that pays the bills but is not as fulfilling and staying with the people they support, whom they often regard as family, while continuing to struggle financially. 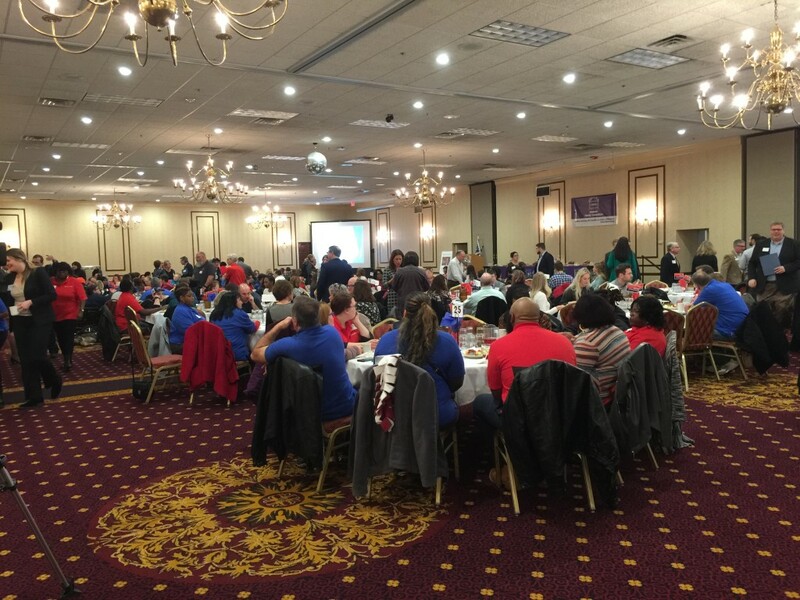 Empower along with other provider agencies speak as one voice on this issue through events like the DDAWNY Legislative Breakfast and through an initiative called bfair2directcare. 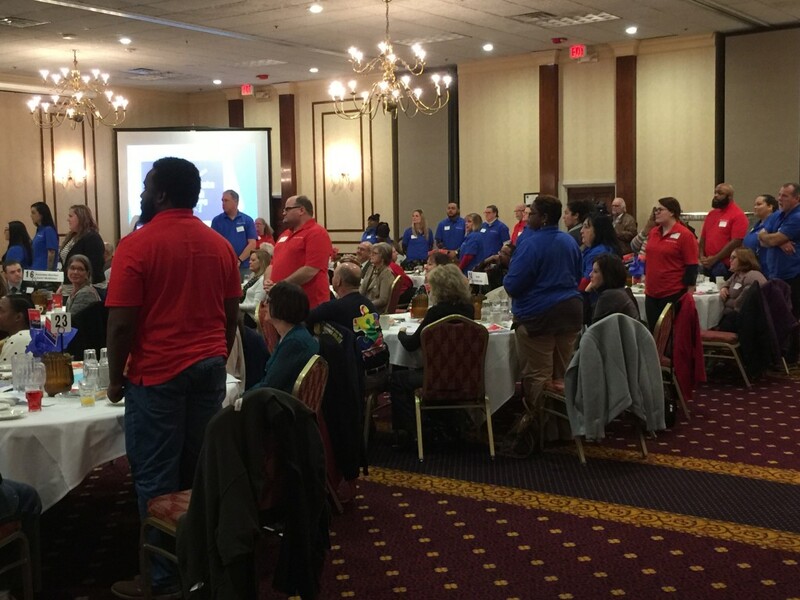 No matter what the Governor’s response to this latest series of efforts, disability service agencies like Empower remain steadfast in their commitment to bringing attention to the critical role DSPs play in the lives of people with intellectual or developmental disabilities and to paying them a living wage. Anthony Salvo is the first person with an intellectual or developmental disability to be part of a Leadership Niagara class. Leadership Niagara is a year-long leadership development program that provides an opportunity to meet people within different industries and services operating in Niagara County, and to understand and improve individual leadership styles. Anthony is supported by Empower through its community housing and job training divisions. He was selected for this opportunity because of the initiative he showed during the Council on Quality and Leadership accreditation week. Additionally, Anthony has expressed a desire to open a coffee house that employs people with intellectual or developmental disabilities, and Leadership Niagara will help prepare Anthony for this goal. Acting as Anthony’s mentor, Dr. Joe McDougall also is a member of the Leadership Niagara class. Joe has cerebral palsy and has accomplished a great deal in his professional life including being a personal trainer and owning a wine bar. He approached Empower last Spring about volunteering as a way to give back for his good fortune. Empower matched Joe with Anthony and partnered with Leadership Niagara on this grant-funded initiative. It is Empower’s hope that this is a start of a tradition where there is always a student with a disability who is a member of a Leadership Niagara class. Beautifully decorated tree, thanks to the group’s hard work. Photos taken by Danelle Hillman. 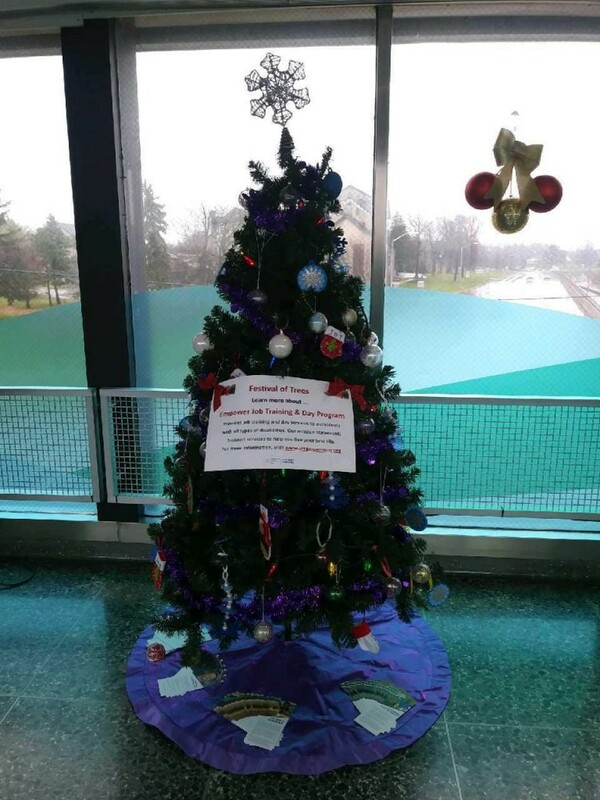 Once again, people supported by the Job Training and Day Programs (JTDP) division did a beautiful job decorating a tree that was featured in the New York Power Authority Niagara Power Vista’s Festival of Trees. Each year, the event allows nonprofits to get the word out about their services, and draws many visitors who enjoy the displays and information. Great job! People who participate in Empower’s Day Habilitation Without Walls Program volunteer approximately 545 hours per year at local nonprofits. 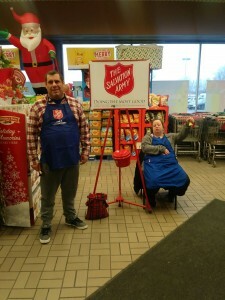 Before the holidays, Sam and Tabitha helped out the Salvation Army by ringing the bell at Tops international in Niagara Falls. Way to go, Sam and Tabitha!